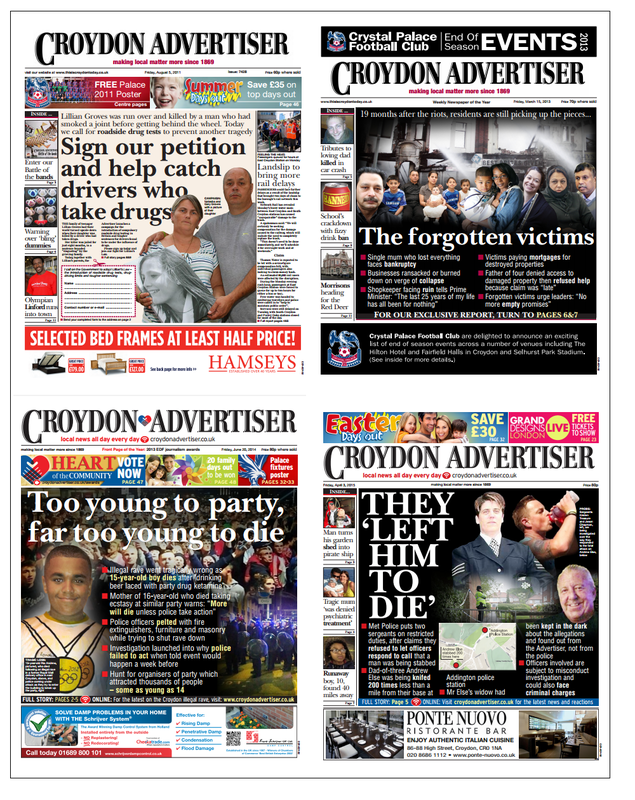 Last week former Croydon Advertiser reporter Gareth Davies caused a Twitterstorm with a series of tweets about his old paper. Yesterday SubScribe published his long-form account of what he believes is happening to local papers all over the country. In the course of preparing the piece, Davies submitted a series of questions to Trinity Mirror in the hope of securing an answer to his concerns. The company's spokeswoman declined to respond unless he told her where the article was to be published. Davies questioned the relevance of the platform and was told that it was pertinent because the company would need to know whether he was writing for the layman or an industry audience that would understand the jargon etc. Once furnished with the information, the spokeswoman declined to comment. SubScribe approached her separately, offering the opportunity to be quoted or to write a new piece setting out the company's view. Again she declined. A separate approach was made to Croydon editor Ceri Gould, who did not respond. “None of the claims made by Gareth Davies stacks up. Every one of his points is either a misinterpretation of basic standard practice or completely untrue. Gareth Davies is not everyone's cup of tea. He describes himself as a pain in the arse. He does not enjoy the approval of everyone in his home town - as can be seen from the comments at the foot of another report of his article on the Inside Croydon website. He is, however, brave enough to speak out when nearly everyone else with first-hand experience of what is going on remains silent for fear of losing their jobs or of burning bridges if they've already lost them. SubScribe shares the concerns of hundreds (perhaps thousands) of local newspaper journalists about the state of their industry and has written to that effect ... more than once. I was therefore happy to offer a home for Davies's article, but do not necessarily agree with everything that he has written. It may be that Trinity Mirror is unaware of SubScribe or sees it as insignificant. It is, after all, a small blog run by a one-woman band. Even so, it seems extraordinary for the company to decline to respond to the article on the site where it was published, and then to use another platform to impugn the integrity of a reporter it was happy to claim as its own when he was collecting prizes. The comment was the only official response to the SubScribe article, but Trinity Mirror had been firing its big guns before it was even written. Chief executive Simon Fox, regional editorial director Neil Benson and digital publishing director David Higgerson had all piped up after the tweetfest. Davies is not the man in front of the tank in Tiananmen Square, but he is a lone figure standing up to a big organisation and it isn't good PR for that organisation to be seen to be trying to silence or squash him. Sometimes the message is so strong that it doesn't matter how small or insignificant the outlet. So, in case anyone is wondering whether Davies should have had a "conversation" about potential reader interest before writing, it is probably worth mentioning that his piece has had thousands of clicks in less than 24 hours. 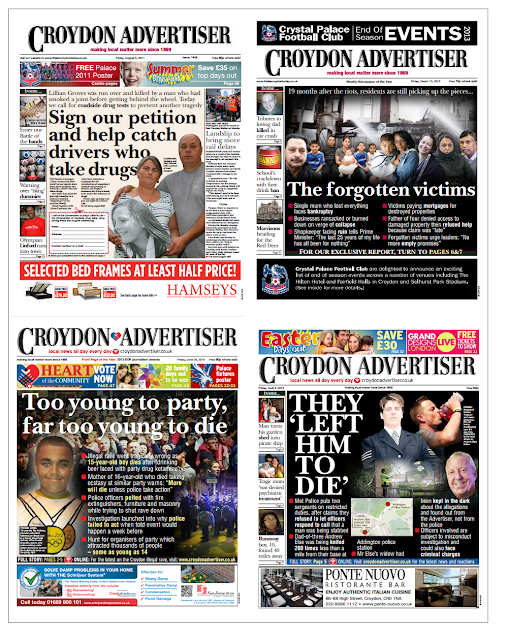 It has also been debated on Twitter, Facebook and Reddit, and followed up by HtFP, Inside Croydon and Press Gazette, to name but three. Isn't that the sort of audience engagement TM craves for its output? A further approach has been made to the company for comment or a rebuttal article. We await the response with interest.